Special guest mixoligist making Flaming Jalapeno Margaritas and other tequila drink specials. Kelly Cash from tequilaneat.com will be there answering questions you have about the 733 tequilas he’s tasted and rated in great detail. 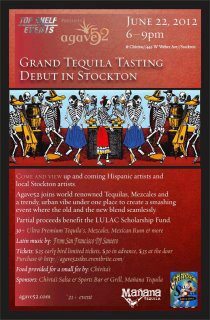 Area Hispanic artist will be showcasing there work.